We have over 700 inmates and over 4100 blog posts so far. We do not charge the men any kind of fee for blogging here on Inmate Blogger. We volunteer our time and give our hearts to this prison writing project. WHY WE NEED FUNDS: To pay for stamps to email inmates (each email costs 1 estamp). For marketing and advertising. For web design. For domain name renewals. For a PO Box. For email software. And for all other business expenses related to up keeping this site. I will have a look-see at the donations page! I’m immediately struck with the concept of this blog! I enter short story writing competitions, in the hope of some day getting published. I’d like to help a few of your contributors to do the same. Here’s a link to an Irish competition. If you have any interest then why don’t we chat about me sponsoring a few entries? Thanks for introducing me to this. Blogging is such a wonderful way to connect, vent and heal. May it bring some hope and healing to those in prison. I appreciate you checking out my blog too. Thank you. This is a great project that has huge potential to help millions of inmates by offering them meaningful activities in the form of writing to the world. Thank you so much for providing this. 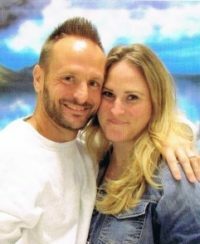 To be honest, my son who’s an inmate in Idaho at the moment just called me and was pretty excited to tell me about the blog he wrote. I have to admit as he was telling me about it I was waiting to hear how much $ it was going to cost me. I help my son as much as I can, but we’ve lost $ more than once on various mail scams, needless to say I was skeptical. I’m looking forward to reading the blogs and comments. I’m sure the other inmates who are bogging are just as excited as my son is to have a voice and perhaps another ear to listen to him aside from mine. Thank you. God be with you.